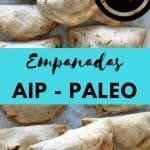 AIP Empanadas! That means these are grain, gluten, dairy, nut, and egg free! They are also totally legit! A crispy, flaky crust that is PERFECT! Full disclosure, these are really labor intensive. Also, delicious, and the more you make them the easier they are. 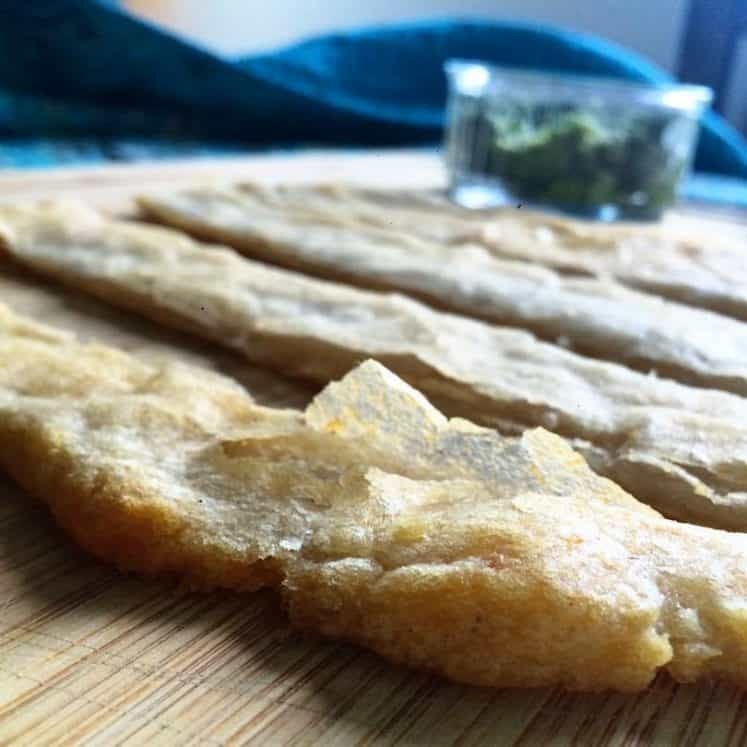 I adapted the crust recipe from My Heart Beets blog, she uses almond meal in her recipe, which I have substituted with the corresponding amount of coconut flour. 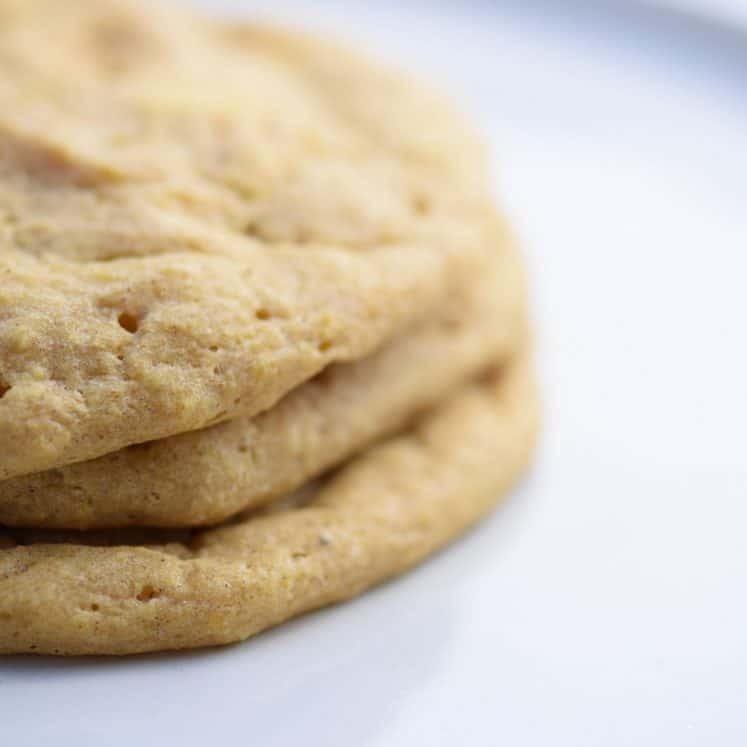 Rule of thumb: 1/3 cup coconut flour per cup of almond flour (useful info on AIP!). 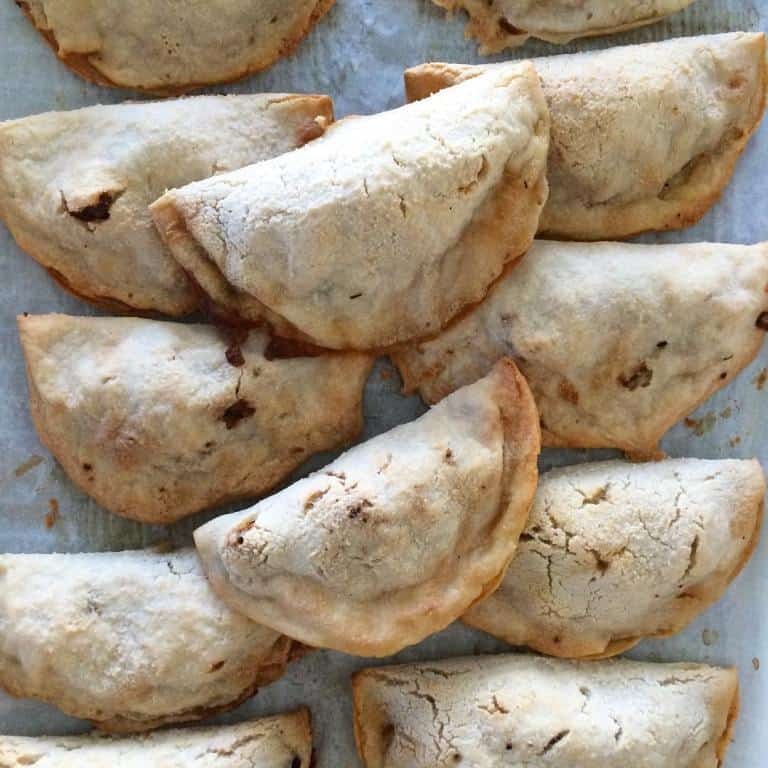 Growing up, empanadas were a staple, as was picadillo. 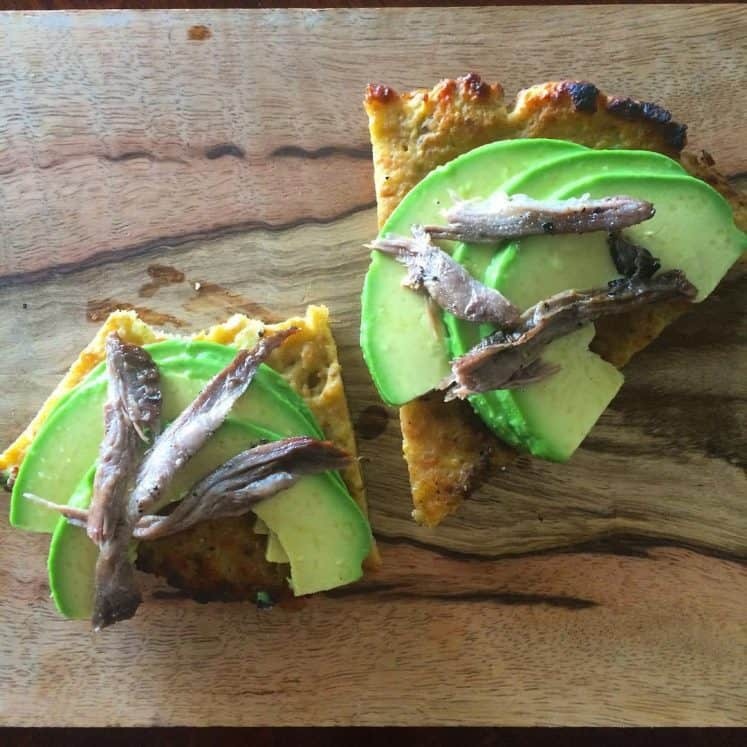 It was lovely to revisit this Cuban treat in an autoimmune friendly rendition. My first go at these, I baked half & fried half. Bake them. They turn out crispier! The lighter ones are the recipe I’m sharing here today. 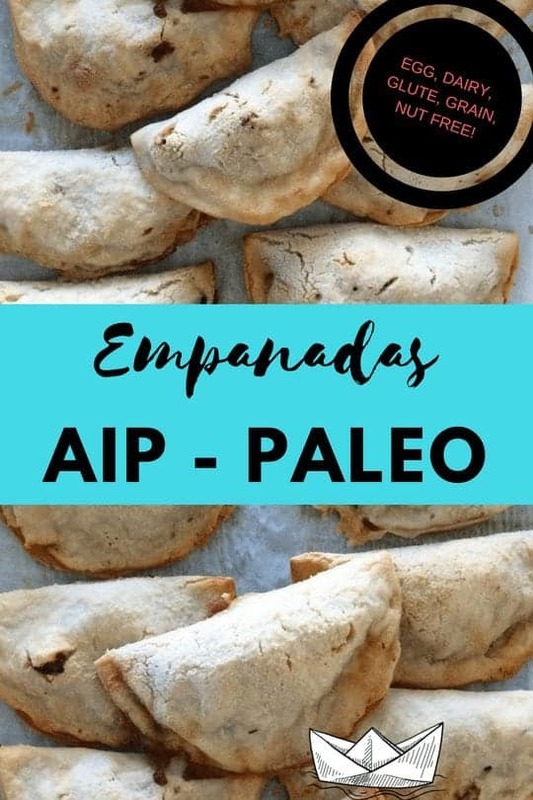 It will make roughly 15 AIP Empanadas! Shake your coconut milk can, if the fat is solidified run the can under warm water until you can shake it and hear the fluid liquid. Whisk all ingredients together. It will be like pancake batter. If your batter feels a little thin add more tapioca at this point. If it feels thick, add a little more milk. Heat a skillet or griddle on medium heat. Use coconut oil cooking spray or other liquid fat. Ready a baking sheet lined in parchment paper by your skillet. Make sure your skillet is heated all the way to medium heat when you begin or your batter will spread too thin. Pour 1/4 cup rounds, try to make them thin and round, it helps if your skillet is not slanted to one side. Spray your skillet, carefully pour your batter, move skillet around or use a spatula to help shape if needed. I use the same 1/4 cup to pour the batter and at the same time do a gentle dabbing motion in a circle to get the right shape. Then wait until the edges begin to look just cooked, 60-90 seconds usually. 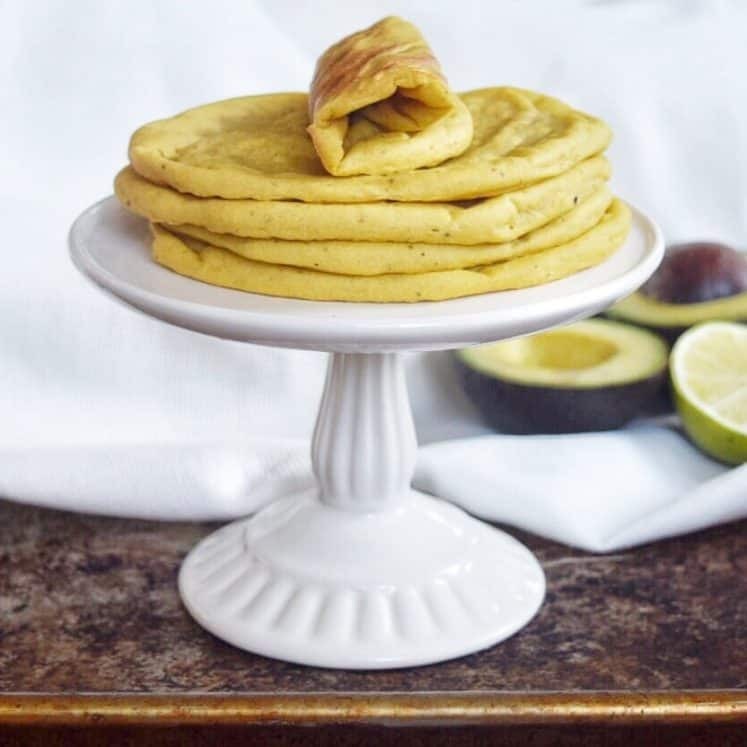 Using a thin spatula, move your half cooked “pancake” to the baking sheet, uncooked side down (this will be the outside of your empanada). If the pancakes tears when you put the spatula under it, let it cook a little longer. Place a spoonful of filling in the center, close your empanada. Run a moist finger around the inside edges, then use a fork to press both sides together. Repeat this until batter is done. I like to make 3-4 inch rounds, they will be easier to close. Spray all of them with coconut oil lightly. Bake at 350F for 35-40 minutes. Until edges are golden. *this recipe is forgiving. If your empanadas have lots of little tears in them or aren’t closing well, it’s ok, they will repair in the oven. With your fingers or a spoon scrape up any left over batter from the bowl and blot on any boo boo’s, when they bake it will seal it. Dice onion, garlic, turnip, olives & cranberries in to small pieces. In a large skillet, heat 2 tbsp cooking fat. Add in onions, garlic & bay leaves. Add in beef, break it up with spatula, add in seasoning and stir often until brown. Add in cranberries & olives. Stir & simmer for 30 minutes. 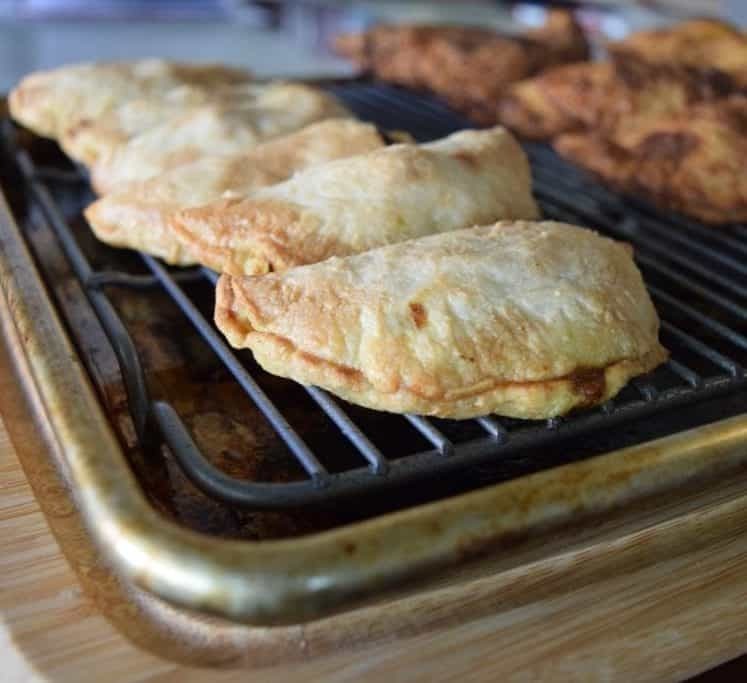 Taste, adjust & ready to fill empanadas!